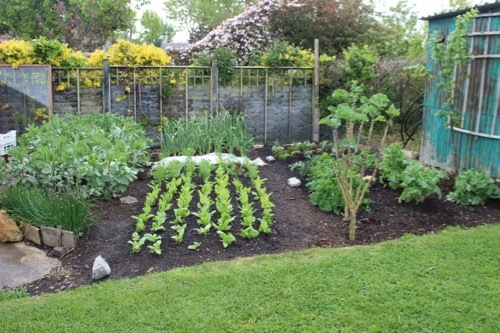 In undug, undisturbed soil the growth of vegetables and flowers is at least as good as when soil is cultivated, so you save a lot of time and effort for a similar result. And growth of weeds is much less, so again one is saving time. 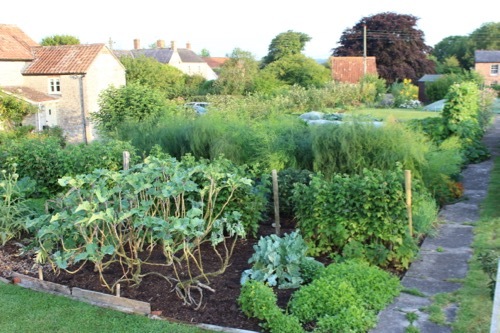 Key to having no weeds is a thorough, initial mulching of perennial weeds, for example you can see this in the monthly posts of 2013 which show how I created the garden here, from pasture which contained perennial weeds such as couch grass, which is now all gone. 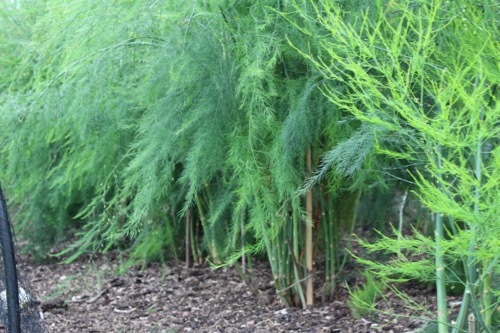 Also when planting crops such as asparagus, you read that ground must be thoroughly dug, even double dug according to the RHS. Yet look at the growth of mine here, in its third summer in undisturbed soil (crowns set in compost over the pasture and its weeds, in early 2013): I am looking forward to first harvests next spring. 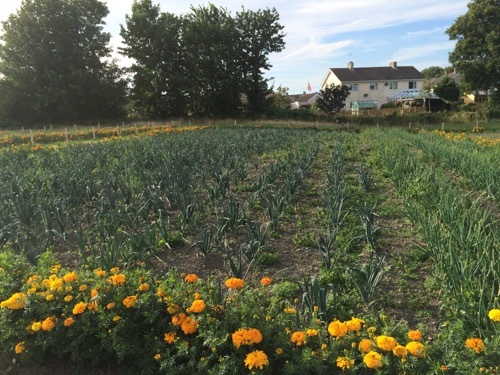 A third of Homeacres beds have now been replanted after summer harvests, or are about to be. 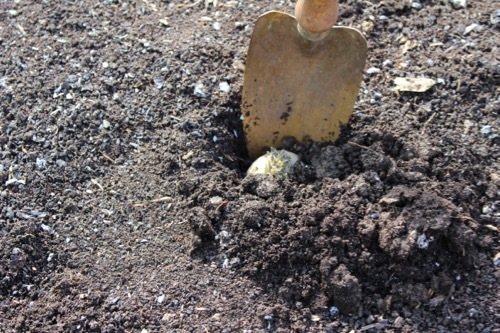 Planting into the weed free soil is a quick job, with no preparation needed, apart from clearing residues of the previous crop. 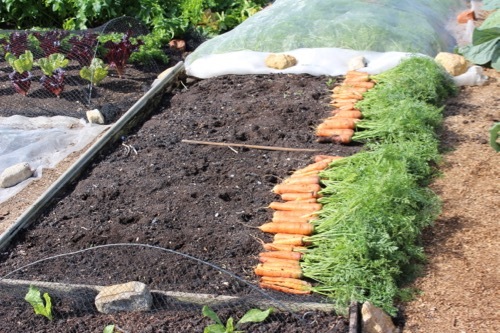 I find that the winter dressing of 1-2in (3-5cm) compost is enough to support two crops here, so I apply no more in summer – though if your soil is sandy and hungry you may need a top up before replanting. 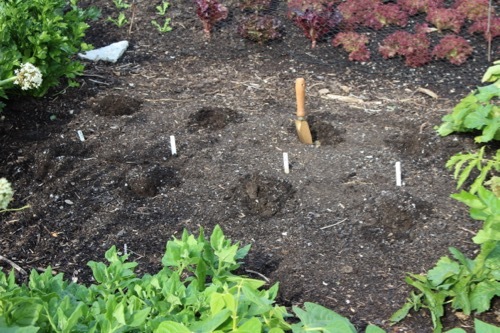 I use the long dibber to draw lines in the surface, along bed sides for the edge and then a line for the middle row, then dib holes, pop in plants, and always water them unless I am sure its about to rain. 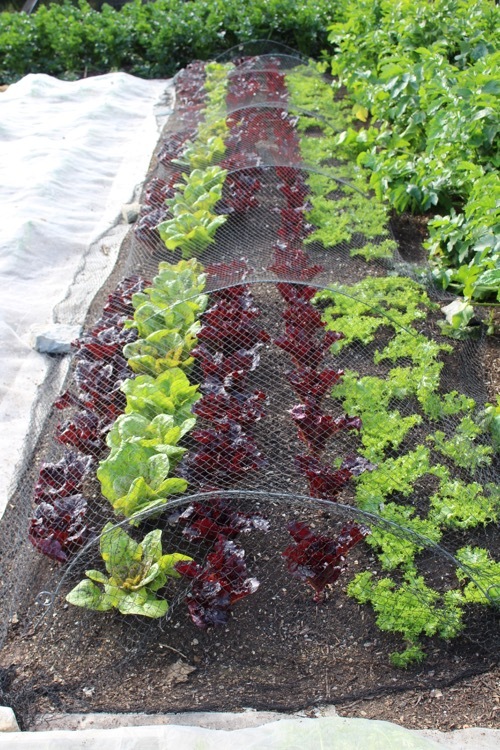 Seasonal sowing is mostly salads at this time: land cress, rocket of both types, mustards, pak choi, leaf radish, endive for autumn leaves and lettuce for harvests next spring. 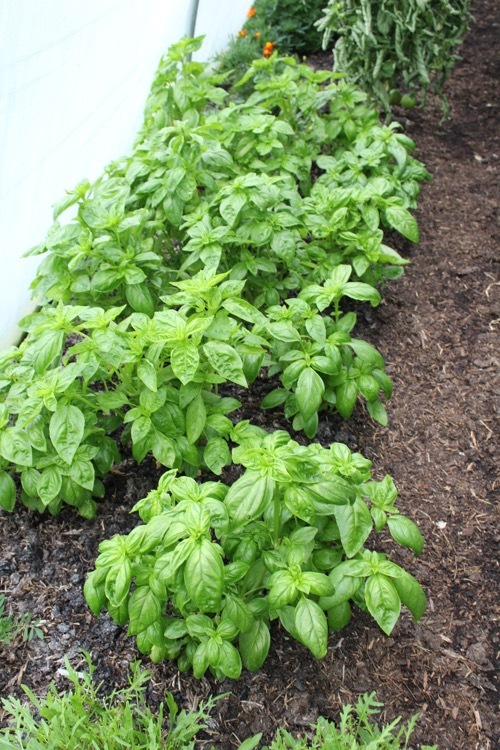 Also spinach now asap, although late August is just possible. True spinach not leaf beet: my favourite variety of spinach is Medania which for example I sowed last August and harvested from October to June, with a break in midwinter. 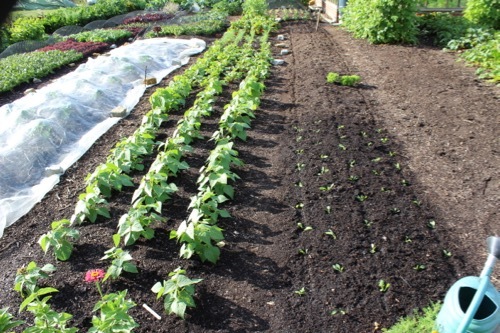 For winter salads undercover, have seeds ready for September sowings. 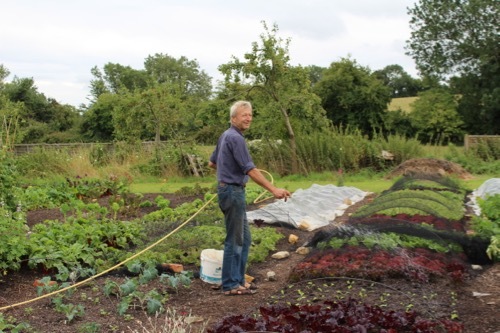 Its getting late but if you find someone offering chitted seed, they can go in now, for October harvests mainly, or later if you can keep slugs, blight and frost at bay…. 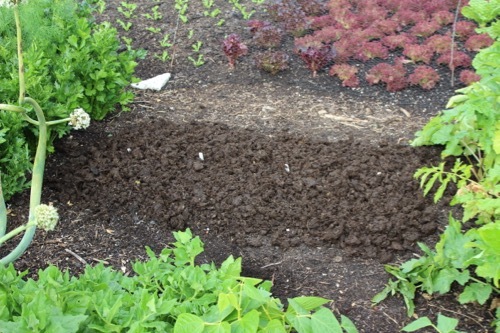 The photos below show my planting of August 11th, two each of Charlotte, Gemson, Nicola and Maris Peer. 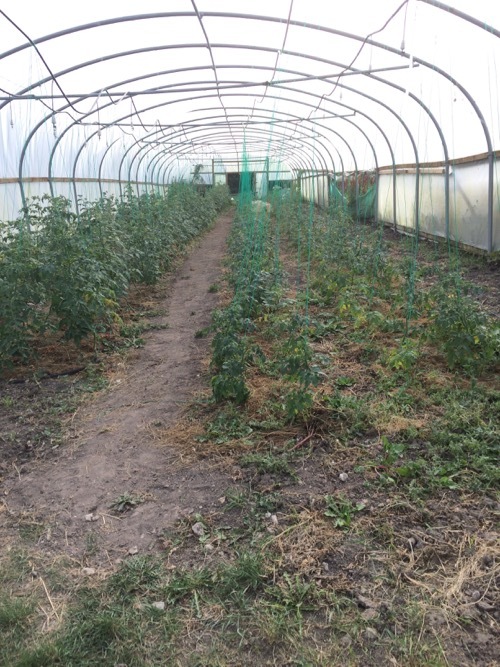 Tomatoes thrive in the extra warmth and do not suffer blight, unless you wet their leaves in warm conditions. 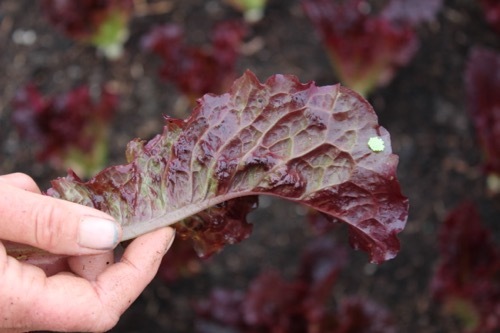 I have seen no blight yet except on one cup-shaped Sungold leaf (holding condensation), which I cut off. Blight is brown and translucent, often smelly too, and is likely now on outdoor tomatoes and potatoes, see the forum thread on this. 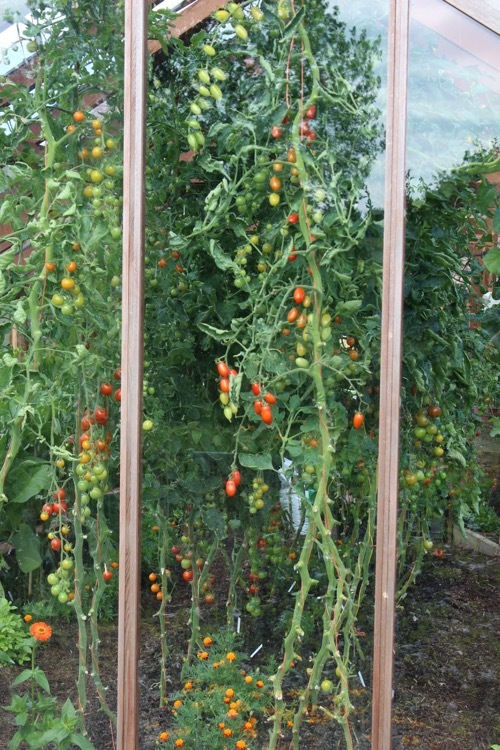 Pinch out tops of tomatoes now, so they just grow and ripen existing trusses. Then you have less small, green ones in October. My 3 year old chilli plants are thriving and one Jalapeño has given red chillies for a fortnight, also I have Lemon Drop and Bishops Hat. 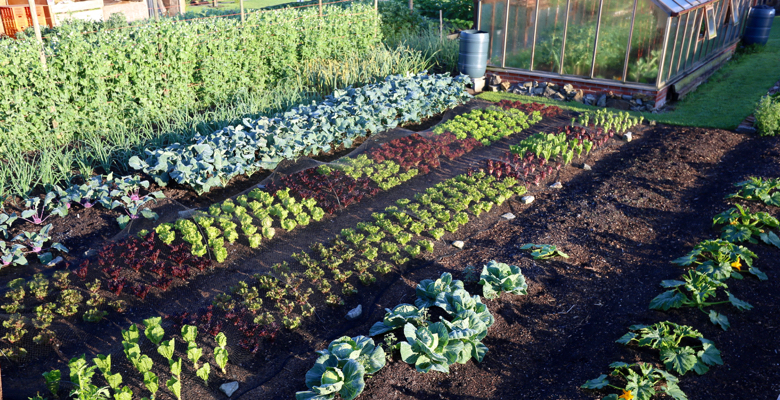 Its possible, as long as you have a light, frost-free place to keep plants alive through winter. 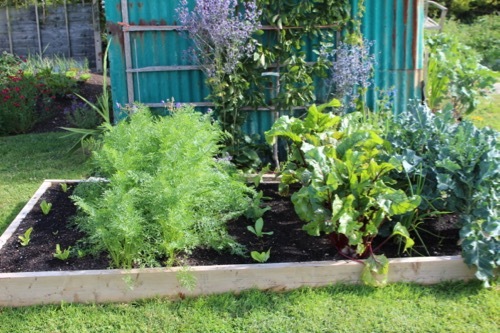 For tomatoes, put a side-shoot into compost in early October. 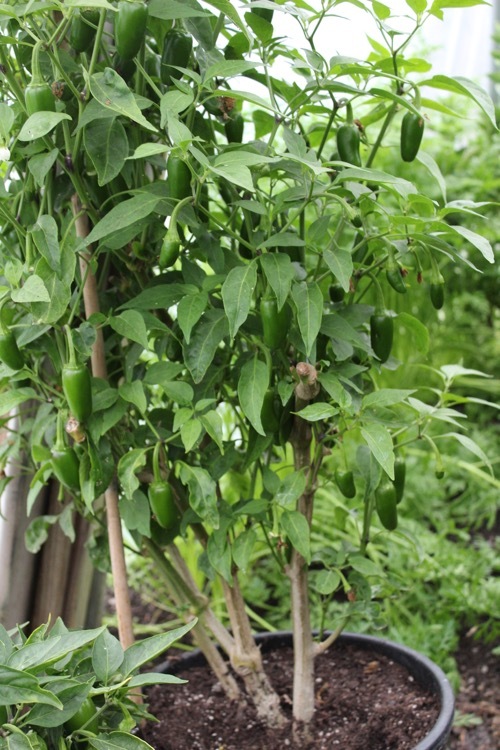 For chillies, cut them back to woody stem after the last harvest in winter. Growth is faster in spring than from new sowings, only snag being that my Rosada and Sungold plants are now 8ft long and running out of space. The fruits are delicious, perhaps stronger flavoured, especially the Rosada, its remarkable. 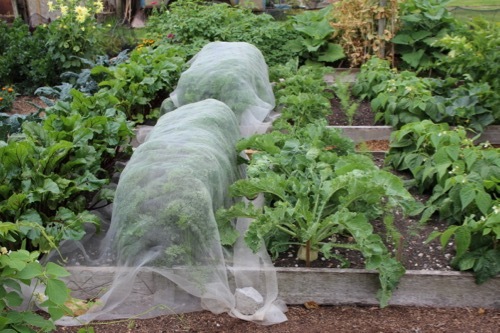 Unless you are on a windy hillside, carrot root flies are likely to be sniffing out carrots from now until October, so a mesh cover is worth trying. 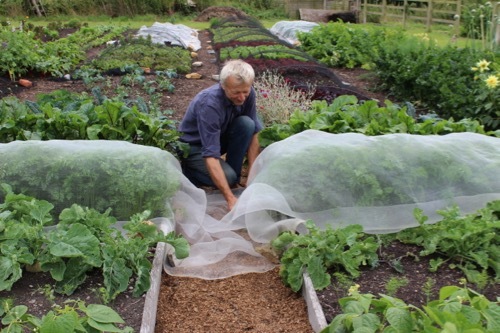 I find that a few flies sometimes wriggle under or through but mostly the cover is effective. 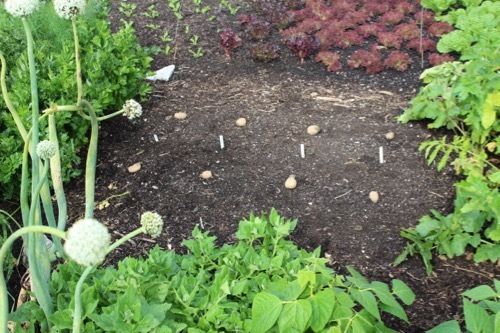 My March sowing of Early Nantes just gave its final harvest and they have been beautiful roots, on a bed made from six inches of compost placed on pasture last November. 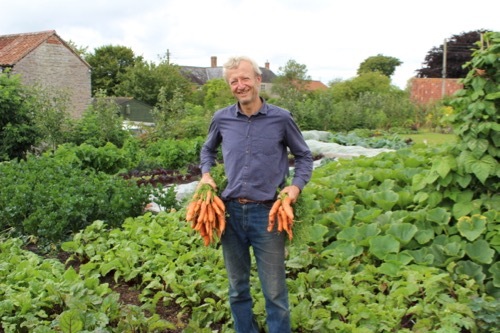 Total harvest was 33.5kg from an area of 4 x 8ft (1.2×2.4m). I made a moon-sowing comparison on this bed which I shall write up in December: it surprised me. Nearer half sown March 17th, further half March 19th just before eclipse! 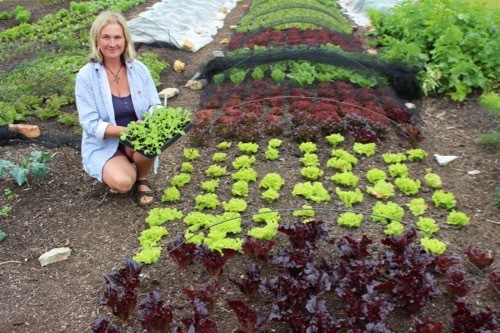 My most valuable harvest here is lettuce for salad bags: we pick each plant over 10 weeks on average. of the outer leaves. 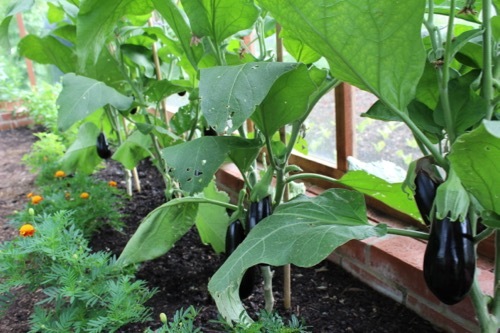 Mostly they are trouble-free apart from some slug damage when it is wet, or when growing in less decomposed compost. However this year I have noticed some problems from diseased seeds. Freckles has a few plants growing stunted and with blotchy, crumpled leaves – it looks like a virus. 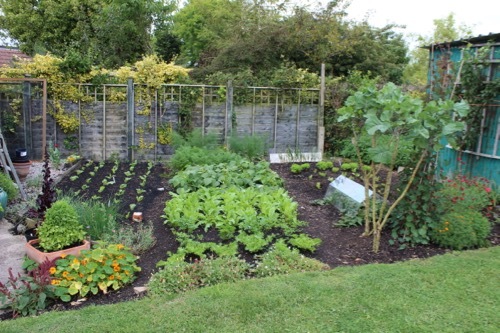 Then I have had to remove some June-sown Lollo Bionda plants which basically did not grow, even though a spring sowing of the same seed had given good growth. Now some Lollo Rossa is also looking poor and I am talking to the seed company about it. 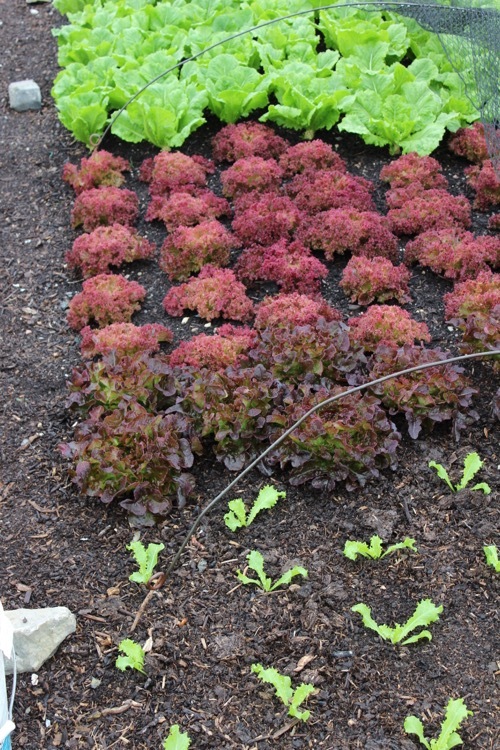 Adjacent lettuce in the same bed are thriving so its not the soil, compost, moisture levels or root aphids! 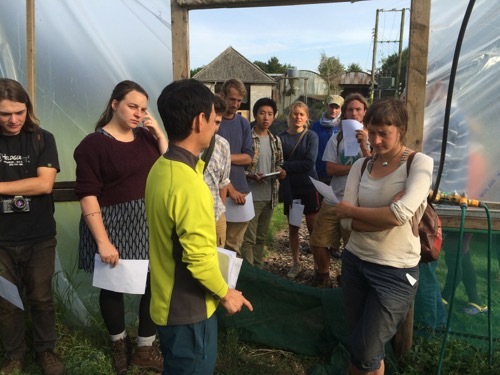 Steph and I visited the Shumei market garden in Yatesbury, near Avebury in Wiltshire, on a farm walk organised by the Soil Association. 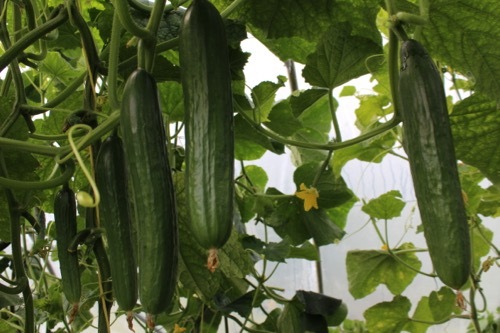 They grow veg for their community of followers, many in London, and for local sale. They believe in continuous cropping (no rotation) but always with saved seed from that area. Also they rarely use compost, and Shinya the gardener uses a rotovator to make the soil loose before planting and sowing. He is fortunate to have a rich, loamy soil with 8% organic matter. Crops looked good but to my eyes rather sparse. Its a large site so they can afford a low output per area, also they have access to plenty of labour for weeding, and need it. Onions ready to harvest, from their own seed, raised in modules of soil! I have found that Super Marmande, Black Krim and Black Russian tomatoes are all in full harvest mode grown in pots outdoors after a March full moon sowing. 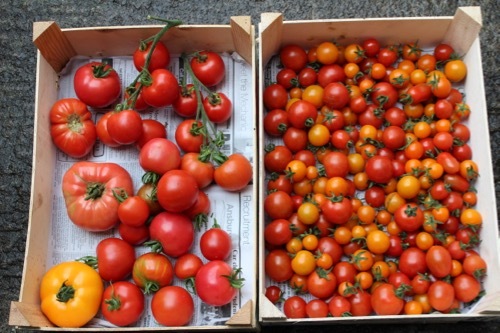 This is the third year of successful beefsteak harvests, the last two years using biodynamic calendar and, this year, biodynamic seeds. It looks like a bumper year for apples and raspberry and blackberry are currently yielding every other day around 1lb of fruit. The leek moth appears to be turning up and Bleu de Solaise is more sensitive so far than Musselburgh. 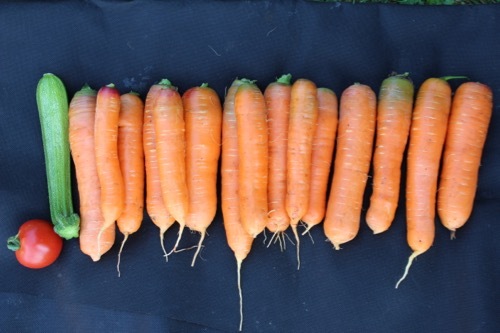 I have been “hilling up” carrots to stop tops being exposed to light. Little disease yet in the harvested roots. Large kernels now growing on corn. I need to learn to recognise signs of when to harvest! 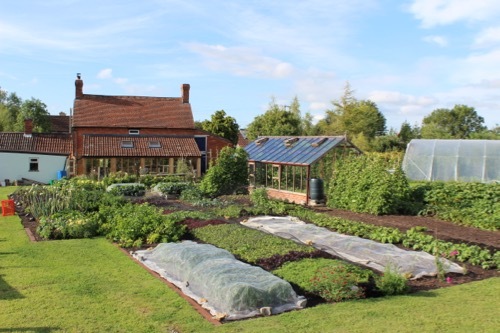 WE are harvesting 4-5lb a day currently – tomatoes, carrots, beans, windfall apples and berries, along with the occasional chard and beetroot. Well past 300lb on 50sqm + 4 fruit trees, with major potato and aplenty crops still to come. Still learning optimal usage of space but I continue to learn loads from your books and forum here at. The website.